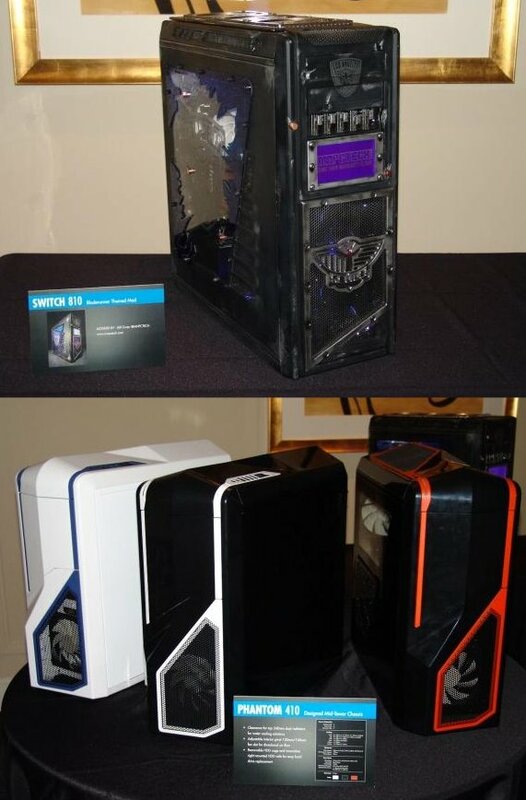 TweakTown got to see new fans and some "customer choice" cases from NZXT at CES 2012, you can check it out over here. We all know the Phantom chassis NZXT delivered a while ago, and readers of my reviews will soon be reading about the all red version of the Phantom 410. Here we have a trio of what was explained to me as the customer choice versions of the Phantom 410. The blue on white, white on black, and orange on black are all striking choices to buy. There is also an all gun metal grey version, but that chassis did not make it to CES.